4.8" x 3.1" x 0.8"
This item is covered by Newegg.ca's 45/1 Return Policy. Cons: SUPER SLOW connection. Ethernet connection is solid 130+ mbps down and I could barely get 30mbps down with this adapter, sometimes as low as 8mbps..Reloaded driver from disk and from the link provided in previous reviews by manufacturer and nothing changed. I'm running Win10/802.11n/10ft from Linksys e3000 router. Ran a test on a mobile device and was getting 60-75mpbs down easy. I live out in the country with very little neighbors. Cons: never keeps a stable connection. it is constantly giving me a private ip address for my computer. I spent hours trying to fix it and only for it to do the same thing a week and a half down the road. stay away from this piece of garbage. it will kill you from the inside out by trying to figure out what the heck is wrong with it. I dont know if mine is defective but it's just horrible. Pros: It was recognized immediately and helped me get a new build up and running, slowly but surely. Cons: After many different driver installation attempts, this thing is rendered useless. I can't get more than 30mbps out of this thing and I have a 200mbps connection. My wifi in other devices get around 70-100 mbps. Other Thoughts: I just hard wired my PC and I don't use this thing anymore, too much hassle to return it and it was cheap anyway. You get what you pay for. 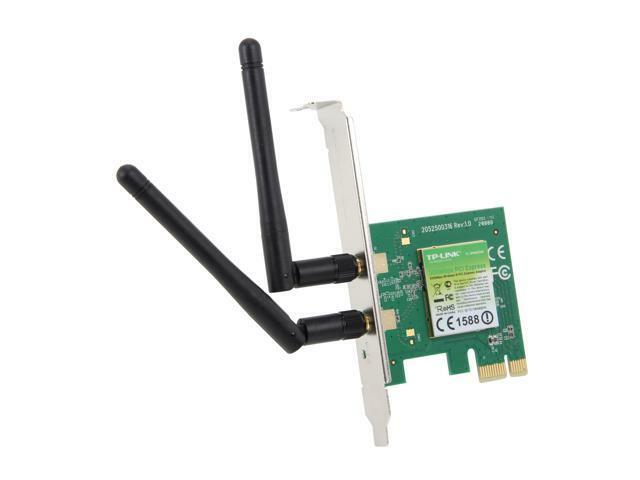 Please also bear in mind the TL-WN881ND is a 2.4GHz Wi-Fi adapter, and the 2.4GHz Wi-Fi spectrum can sometimes be congested based on nearby sources of interference. In your case, we also recommend adjusting your router's Wi-Fi channel settings to help optimize signal clarity. Other Thoughts: Avoid at all cost. This is just a waste of money. They obviously do not care about the products they are putting out. Cons: Neither the drivers that came on the enclosed CD nor the ones posted on the TP-Link website for this model (TL-WN881ND, ver. 2.0) would recognize the first adapter I received or the 2nd (sent because I RMAed the first, thinking it was defective). Windows was also unable to automatically locate a driver. During a call to TP-Link support, the agent stumbled upon the solution: download the drivers for the specific network controller (in my case, a Realtek RTL8192EE). Realltek's US site didn't list this model. The driver I got from the Realtek Taiwanese site didn't recognize the adapter. I did manage to find a working driver on Realtek's Chinese site, however. I haven't had to do this for a basic wireless adapter since the Windows XP days, and scouring the web for a driver that actually works is very frustrating. Other Thoughts: TP-Link, please include the correct drivers for this adapter on the enclosed CD and on your website!